Need a great shoe that can provide you support and get you through the day? Not interested in dress shoes or running shoes but still need something that is comfortable and able to help you feel amazing even if you’re on your feet all day. Casual or walking shoes are often good for everyday use, but finding one that you like, that fits properly, and will provide you with enough support and comfort when you have a foot issue is frustrating. The right pair of shoes can make all the difference in your job. How many times have you come home from a long day at work and felt like you could barely walk because your feet hurt so much. Even if you aren’t suffering from plantar fasciitis or another foot problem, hurting feet can be a big issue and often the problem lies with the type of shoe you are wearing. Switch out your old shoes for some that have some arch supports and a lot of comfort, and you will find it is much easier to get through your hectic day. When you are tired of having your feet hurt all the time and want to find a pair of shoes that are comfortable and can be worn all day long, take a look through these great casual shoes. They are meant to help those who stand all day long or who experience severe feet issues on a regular basis. Once you slip on a pair of these casual shoes, you will realize how important a good pair of shoes really are to the health of your feet. This is the shoe to go with if you work long hours and are always on your feet. They look really simple, but they come packed with all the support and features that you need in order to make it through that long day without all the achy feet and other problems that can come up. The shoe itself is made up of leather and the heel in the back measures about 2.25 inches. The full grain leathers and microsuede linings on the top offer a lot of style along with the durability that you need to keep going all day long. You can also choose from white, black, chestnut, navy, and burgundy so you can find the one that is right for you. The rocker sole helps to reduce some of the pressure you may put on the forefoot and can also aid in controlling some of the joint motions between the hips, knees, and ankles; this allows you to maintain good posture and avoid pain. When purchasing these shoes, keep in mind that they are going to run a bit large so you may want to purchase a smaller size. Some complained that the shoes are a bit heavy, which is going to make you feel uncomfortable when you aren’t used to this weight. If you do purchase, you may want to wear them around the house for a bit so you can get used to this before having to wear them all day long. These are a great pair of casual shoes that are unlike anything that you have worn in the past. And with more than 14 options to choose from in terms of color and style, you will easily be able to find the one that fits your needs the best. These shoes are easy to slip on with two Velcro straps that go across the foot. The sole is manmade but has some extra traction so you will be able to wear them even if the floor is a bit slippery. The heel is about an inch and the platform is about ¾ inch so you will have the perfect support at all times. Add in one of your favorite inserts or orthotics, and you are ready to go all day long. These shoes often do not run true to size. They will most likely be smaller on your feet so consider trying them on at a store or purchasing a shoe that is a bit bigger to fit your foot better. These shoes are also very narrow, so those people with really wide feet would do better to pick out another brand. These shoes are a great option if you want something that is simplistic and will work to wear around the house. There isn’t much in the designing of them, but there are several colors so you can choose your favorite option. The rubber sole helps you to keep the traction that you need no matter what job you are working on and many people like the padded collar and tongue for some extra comfort. While there isn’t much for support on this particular shoe, it is easy to add in your own insert or orthotic to get that boost you need for your plantar fasciitis. Many customers like that there are various widths available including narrow, medium, wide, and X-wide so it is easier to find the one that works for your feet. These shoes are the fanciest on the market, but if you want something that is simple and comes at a very budget friendly price, these are the ones to choose. Whether you want to be dressed up or casual for your job, you need to find a shoe that is going to keep you comfortable and will allow you to keep on going, without all the pain and discomfort, all day long. This dress shoe from Vionic is perfect whether you are planning on wearing a dress shoe just part of the time or you need one that can be used daily. 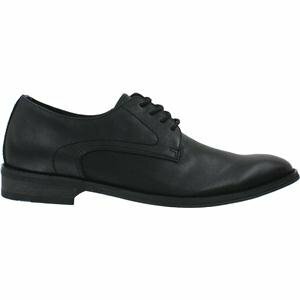 The leather in this shoe is going to help give off that distinguished look that you want in business attire. The technology inside the dress shoe is perfect for anyone who is suffering from knee pain, heel pain, and foot pain. The leather sockliner adds a bit more support and you will love the leather rubber sole that provides you with all the traction that you will need. 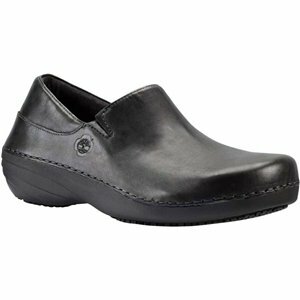 If you are dealing with plantar fasciitis and need to find a dress shoe that will last you for a long time, this is a great option to choose. One of the negatives about this shoe is that it comes in a narrow size. This can be bad for those who need a bit wider shoe to be comfortable. The price is a bit higher than some would want to spend on their dress shoes, but compared to some of the higher quality dress shoes on the market that don’t provide all the features that you need for your foot issues, you are getting a great deal with these. Not only does this shoe have a fun name to pronounce, but it has so many different options in terms of style, color, and so much more, that everyone is going to be able to find the one that is right for them. And depending on the features that you would like to add into this shoe, it is easy to get it for a price that is very budget friendly. 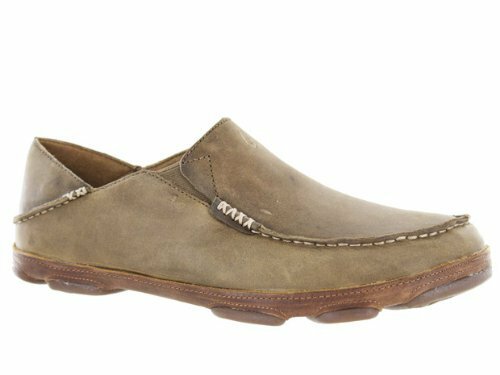 The material on these shoes is leather but you will enjoy the hand sewn moccasin stitching as well as the microfiber that keeps moisture away from your feet. The foot bed is designed to contour to your feet so you get the support where you need it; plus you can take this foot bed out and wash it anytime that you need. The drop in heel allows you to pick the way that you would like to walk so you can alleviate the pressure that you are feeling all throughout the foot. All in all, this is a great shoe that has all the features that you would want to deal with your plantar fasciitis and stay comfortable. This shoe is also great for those with wide feet since there is plenty of room to move around without feeling too tight. When you are looking for a good walking shoe, you just can’t go wrong with the Vionic brand. This brand knows how to add in just the right support and comfort that you need to deal with your plantar fasciitis while still being as comfortable as possible. While these shoes look similar to the running shoes that you may have loved in the past, there are some extra features that make them better suited for wearing on a day to day basis as much as you need. The material on these shoes is synthetic and the sole is manmade with some extra features to keep the traction. The eyelet and loop lace closure combines to get the lace support right where you need it. The stitching is really nice to help keep the shoe together and you can pick from a variety of colors and styles to find the one best for you. These shoes are easy to add in an insert or an orthotic so you can get the support right where you need it most no matter your foot issues. Compared to some of the other options available with Vionic, these are not some of the best. You are going to pay similar to other products from this brand, but a lot of the extra features for support and comfort for those with feet issues will be gone. If you really need a shoe to help out with the plantar fasciitis issue, you may want to consider picking out a different shoe. 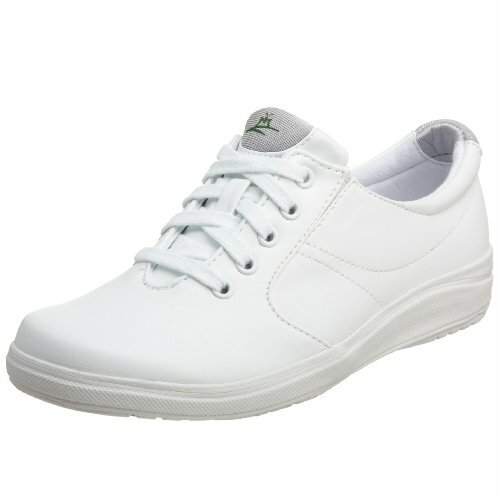 If you want one of the very best when it comes to Orthaheel walking shoes, there is no need to look further. This option is perfect and has an inserted orthotic that is designed by some of the leading podiatrists so you know it is going to help out all your feet issues. This orthotic uses arch support as well as a deep cup for the heel to help the foot and ankle to realign in their natural position. If this isn’t comfortable enough for you or isn’t able to fix the particular issue you have, you can take the orthotic out and place your own personal one inside in no time. In the midsole you will find an EVA that is good at reducing stress on your feet by absorbing some of the shock you feel while walking. You can also enjoy the outsole grip that will keep you pretty steady while you walk. For anyone that has issues with their feet, whether it is due to plantar fasciitis or something as simple as a bunion, these shoes are able to help you. When purchasing, keep in mind that these shoes often come in a bit on the large size so you may want to order them smaller. The first thing that you will notice is that these shoes are really budget friendly. This makes them easy to have for wearing around the house or just as an extra pair without going too much into your budget. The material around these shoes is synthetic and the sole is made of rubber. The polyester mesh is breathable and does a great job at getting rid of all the moisture so your feet stay dry and comfortable all day long. These shoes are lightweight so you won’t feel like you are dragging them around and the EVA midsole is great for absorbing shock and reducing any stress you may feel with other shoes in your knees, ankles and feet. If you are purchasing from a third party seller, you will need to be careful about the sizing and quality. There have been several companies who use this name and then sell their own shoe, and you are not going to get the quality that you are looking for. It is usually best to order straight from the manufacturer to ensure you are getting a high quality product. 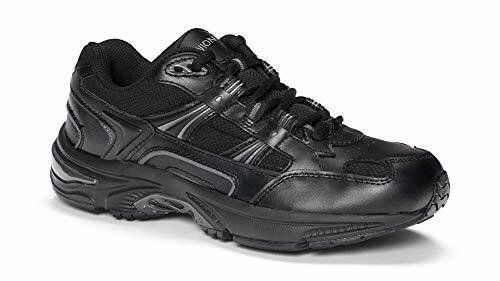 Finding a men’s walking shoe that is going to keep up with moving around all day is never easy. Many shoes are made of cheap materials and will start falling apart almost as soon as you put them on. But with this option from vionic, you will be able to wear these shoes all day long without having to worry about the quality material or anything else falling apart on it. These shoes are also great for dealing with plantar fasciitis so you won’t have to worry about feeling a lot of pain and discomfort by the end of the day. 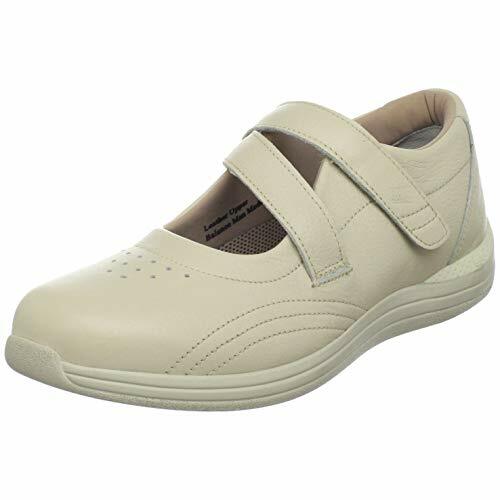 The material is made of leather and mesh that makes these shoes really breathable and these shoes are designed by podiatrists with a biomechanical orthotic insole to give you the very best support possible. Some customers have claimed that the arch is just not in the right place to provide them the support that they need. Since each person needs the arch in a slightly different place, it may be beneficial to try this shoe on first or consider putting in your own insert to ensure that you get maximum support no matter what. When you are suffering from plantar fasciitis, the orthaheel from Vionic is something that you are going to love. This feature is food for providing some extra spots of cushion right where your foot most needs to keep away the pain while walking. And with all the fun colors and styles available in this particular shoe, you will love lacing them up and heading off to the gym. When compared to some of the other shoes available through Vionic, you may be a bit disappointed. This one is not going to be able to keep up to the heavy duty use of some of Vionic’s running shoes. While this shoe will be able to provide the support that is needed for plantar fasciitis, it is not meant for hard running or for a lot of use. For those who walk more indoors or need a simple shoe to wear at work, this one can work perfectly, but if you want to add more wear and tear to the shoe, you may want to consider a running shoe. If you want a shoe that has a lot of style, all the features that you need to deal with common feet issues, and still fits into your budget, you have found it with this option from Vionic. This shoe is lightweight so you will be able to head out all day long and not feel like the shoe is weighing you down. The man-made overlays and mesh offer up a sporty look on the shoe while still promoting comfort and lots of breathability in each step. The outsole is made of durable rubber and inside the shoe you will see the famous Orthaheel technology that Vionic is so popular for. This feature is known for naturally aligning your feet, without making them feel uncomfortable and is effective at relieving heel pain and other feet issues. Some customers noted that these shoes caused some pain in their feet. This is thought to be caused by the higher arches that are inside the shoe for more support. If you are not used to having an arch support in your shoes, this may cause a bit of pain and discomfort at the end of the day as your feet are not used to it all. Take some time to break in the shoes and you will see how great the arch can be. If the arch is still bugging you, consider taking out the insoles and providing your own insert that will feel better. This casual shoe is perfect for those people who just want to be able to slip on their shoes and stay comfortable without all the work. These are relaxing shoes that can be worn at the office, out on a nice stroll, or just relaxing on the couch. And for the price, you aren’t going to find a better pair of orthotic shoes. The twin gore on both the lateral and medial side provide some more comfort and works best for feet with medium width. The rubber outsole is lightweight and flexible and provides a wave patterned tread to add in a bit more traction when you are walking. These shoes are developed by a leading podiatrist who understands how feet work and has put in as much as possible to ensure that you are providing the right support and care for your plantar fasciitis. The arch support in this one is good for those with a really high arch, but could pose some issues with those that aren’t used to the higher arch. Some customers have also noted that these shoes seem to wear out much faster than they should, even with light use. It may be best to try on one of these shoes in the store to make sure the arch feels comfortable and you will be able to wear it long term. Casual shoes are great for the everyday user or that person who wants to wear a clean pair of shoes in their house or around the yard. While these are usually not as heavy duty as some of the shoes that you are going to find on the market, they are going to fit better into your budget and can still provide the comfort and support that your feet need. 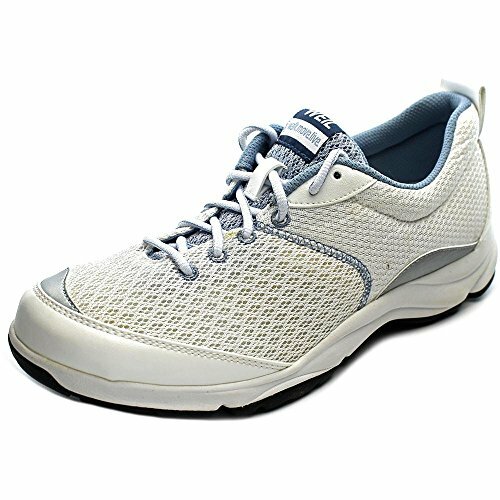 If you are suffering from plantar fasciitis and are looking for a great casual shoe that will work in many occasions, check out some of these best casual shoes for plantar fasciitis.